Maahantuomme ravintolisiä USA: sta, FDA: n tiukasti valvomilta markkinoilta. Visionamme on tuottaa oikeaa tietoa terveyden uhkatekijöistä. Suurimpana ongelmana länsimaissa on jatkuva, yksipuolisesti liian hapan ruokavalio, jota elimistö ei kykene riittävästi puskuroimaan, vaan koko aineenvaihdunta -järjestelmä joutuu tekemään työtä happamuutta vastaan. Lopulta elimistö alkaa tulehtua ja saavuttaa potilaan huomaamatta, jatkuvan tulehduksellisen tilan. In 1988 and 1989 I lived in the heart of Paris, on Boulevard Henri IV just a few minutes’ walk from the Notre Dame cathedral—the best known and most-visited Catholic monument this side of St. Peter’s Square. Dedicated to the Holy Virgin Mary, beloved by both Christians and Muslims, Notre Dame is a product and symbol of the period some consider the high point of Western civilization, the 12th and 13th Christian centuries. Those were the years when long-lost knowledge filtered into Europe from Byzantium, the Holy Land, and Muslim Spain, triggering an amazing burst of spiritual, artistic, intellectual, and technological creativity. Among the most impressive products of that astonishing period were the great Gothic cathedrals. On 15 April 2019, around 18:45 CEST, fires simultaneously broke out in the Christian and Islamic world’s greatest iconic monuments, Notre Dame cathedral and the al-Aqsa mosque in Jerusalem. The Notre Dame fire did the most damage and grabbed headlines. 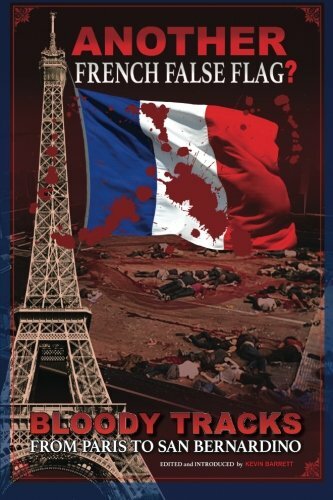 It is easy to see why the world paid more attention to the Paris tragedy. 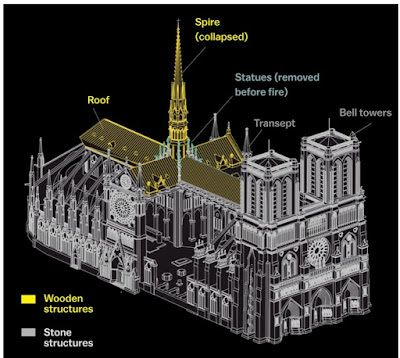 Images of Notre Dame in flames, its roof and spire collapsing, inspired shock and dread—not unlike the explosive “collapses” on September 11, 2001. And it wasn’t just humans, who are capable of feeling emotions including shock and dread, that noticed the resemblance. YouTube’s conspiracy filter algorithm misfired by defacing videos of the Notre Dame inferno with a pop-up summarizing the official story of 9/11. 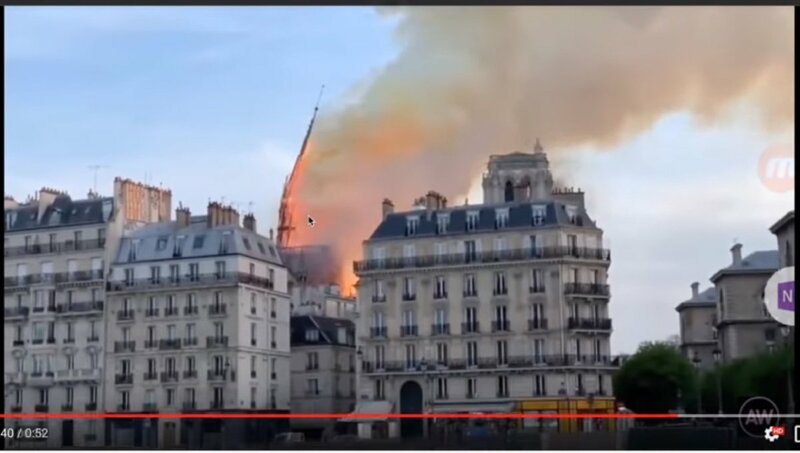 The YouTube algorithm, which apparently is not very artificially intelligent, mistook news videos of the cathedral fire for scientific documentaries about the explosive demolition of the World Trade Center. If the YouTube whizzes are stupid enough to insist on defacing scientific documentaries with annoying pop-ups shoving the absurd and thoroughly-discredited official story of 9/11 down our throats, whatever “Artificial Intelligence” they create will probably be at least as dumb as they are. It wasn’t just AI (Artificial Idiocy) that vaguely sensed some obscure connection between the Notre Dame blaze and the events of 9/11. Many of us who felt shock and dread on September 11, 2001 later discovered that our emotions had been manipulated by the neocon-Zionist operatives who engineered that false flag spectacle. This video clip was spread by the Illuminati. Are we being manipulated yet again? One expert who answers “yes” is Robert David Steele. A key founder of the Open Source Intelligence (OSI) movement, Steele is a former CIA Clandestine Services Officer who admits to having helped orchestrate a false flag for the Agency. In an interview Steele told me that the Notre Dame inferno was deliberately set. Steele said a well-placed Parisian source told him that the fire started in an area with no electricity, firefighting efforts were inadequate, the official narrative was rolled out too quickly, and there were reports of murdered individuals in the fire area and intelligence people being barred from the scene. So who is this Yahweh who nurses a grudge for eight centuries before resorting to arson? (Apparently even fiery revenge is a dish best served cold.) Laurent Guyénot’s From Yahweh to Zion explains that “Yahweh” has always been a stand-in for the Jewish tribal priesthood, who disguise their own self-interest as the will of God. So in essence Rabbi Schlomo blames the Elders of Zion for torching Notre Dame. Sounds like an anti-Semitic conspiracy theory to me! Somebody call the ADL! And speaking of anti-Semitic conspiracy theories, someone should report the Times of Israel for publishing a story headlined “Radical Jewish group’s head advocates burning churches: Benzi Gopshtain of Lehava says Jewish law mandates putting churches to the torch, prepared to sit in prison for saying so.” Undoubtedly Gopshtain is far from the only rabbi who thinks Yahweh wants churches burned; his real crime, the Times suggests, was saying it in public. If one of the suspects is a group of intergenerational criminals who blame their crimes on “Yahweh,” another is the President of France and his minions. The blaze broke out at the perfect moment for French President Macron to use it as an excuse to postpone his long-anticipated address on the Yellow Vest uprising. Had Macron gone ahead with the speech, he reportedly would have rejected the Yellow Vests’ key demands including a wealth tax on the 1% and instead offered paltry tax cuts, which would undoubtedly have instigated an escalation of the insurrection. Instead, thanks to the Notre Dame fire, Macron was at least temporarily let off the hook. Ignoring the Yellow Vests, Macron exploited the widespread shock and sorrow to pose as a heroic uniter of the French people in their hour of distress—a bit like Hitler after the Reichstag Fire or Bush after 9/11. But unfortunately for Macron, the “9/11 Bush effect” wore off quickly, perhaps because no scapegoat had been officially appointed to take the blame for the fire—or perhaps due to the higher false flag awareness in 2019, at least among the Yellow Vests, who were back in the streets five days later. 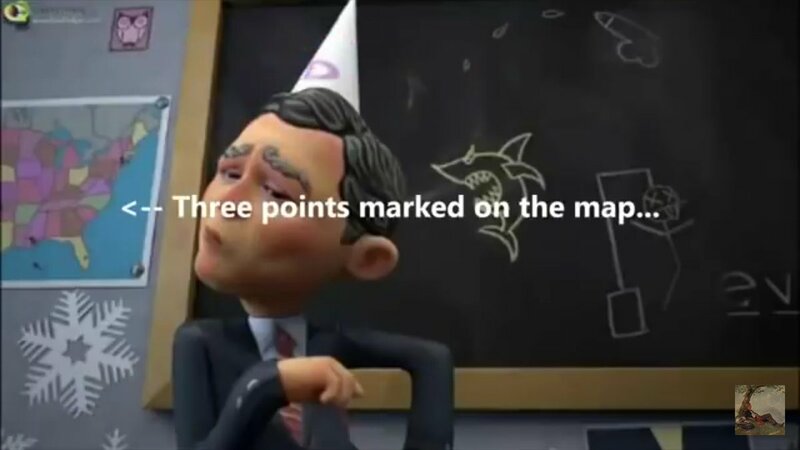 So let us continue our rundown of possible suspects. Robert David Steele argues that the Notre Dame fire was the work of a criminal syndicate that more or less includes but is not limited to the forces of “Yahweh” and Macron. 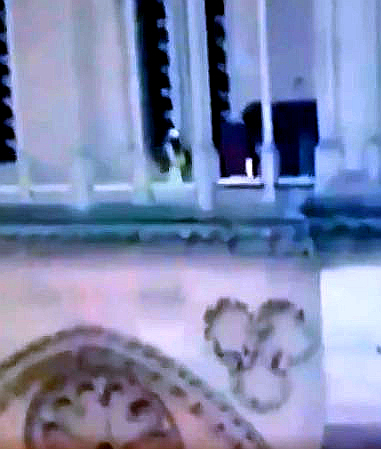 According to Steele, the Deep State behind the Notre Dame inferno is a cabal of globalist Satanists, Zionists, and pedophiles, who viewed the act as a twisted sort of religious (or anti-religious) sacrifice. The possibility does not seem especially remote. We are witnessing a global upsurge of anti-religious terrorism, as exemplified by recent attacks on houses of worship in New Zealand and Sri Lanka. Critically important clue: The single most suspicious aspect of the Notre Dame fire was the “coincidentally” simultaneous al-Aqsa fire. The idea that the world’s most iconic Christian house of worship, and the world’s most iconic Muslim house of worship, would “just happen” to catch fire simultaneously would strain the credulity of the craziest coincidence theorist. The al-Aqsa mosque is the Islamic world’s greatest architectural and spiritual monument. It commemorates the spot where the Prophet Muhammad rose through the seven heavens, meeting earlier prophets including Moses and Jesus en route to the Divine Presence. The al-Aqsa Mosque with its magnificent Dome on the Rock is the living, beating heart of Islam. Nonetheless it is unofficially slated for annihilation by Zionist fanatics, who intend to build a blood sacrifice temple on the site. And the Antichrist’s time may be approaching. According to The Guardian, Netanyahu is about to “go rogue” and take Israel’s escalating attacks on Christian and Islamic holy sites to the next level. If indeed we have just witnessed simultaneous arson attacks on the Christian and Islamic world’s most iconic buildings, the logical suspects would be people who hate those two great schools of universal monotheism in general, and universal monotheism’s messiah Jesus in particular. Anti-universal-monotheism ideologies, which might be termed the ideologies of Antichrist, include atheism, Satanism, humanism, materialism, and at least some varieties of Judaism. Extremist believers in these ideologies have long colluded to wage covert war against Christianity and Islam under the banner of freemasonry. 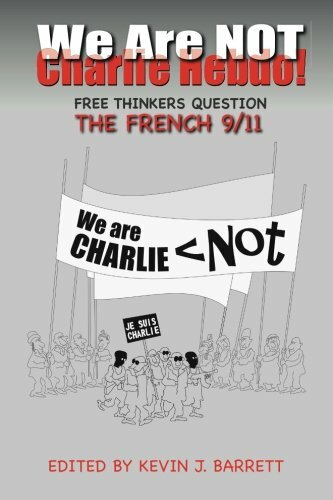 The last time French churches were under this kind of attack was during the Illuminati-driven French Revolution. Is something similar happening now? Was it just a coincidence that Paris’s other great historic church, St. Sulpice, burst into flames on March 17, less than a month before the blaze at Notre Dame? 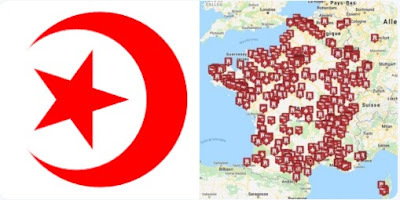 And how about the hundreds of other French churches that are being attacked on a daily basis? 875 French churches were vandalized in 2018 in a wave of organized terrorism by “radical secularists or anti-religion groups” according to French civil rights activist Ellen Fatini, quoted in Newsweek. Meanwhile Satanists and other anti-religion ideologues, not white nationalists, are burning American churches too. Holden Matthews, a Satanic music cultist recently arrested for burning historic black churches in Louisiana, is just the latest example. If you were conducting a centuries-old war on religion in general and Christianity and Islam in particular, your best strategy might be to trick the Christians and Muslims into fighting each other and doing your dirty work for you. Rabbi Don Isaac Abrabanel, the original Zionist, hatched such a plan five centuries ago. Abrabanel believed that an apocalyptic Christian-vs.-Muslim war would help the Jewish Messiah (the Antichrist to Christians and Muslims) wreak vengeance on the goyim and rule the world from Jerusalem. Benjamin Netanyahu’s father Benzion, a colleague of the terrorist Jabotinsky, wrote a book on Abarbanel highlighting and celebrating his apocalyptic Zionism. The only thing wrong with Abarbanel’s plan, Benzion Netanyahu thought, was Don Isaac’s inability to understand that it wouldn’t happen overnight, but would require centuries of careful planning in the cold clear light of realpolitik. Those five centuries of planning “Operation Antichrist,” the ultimate revenge on the goyim, may be nearing fruition. Since 9/11 the (post)Christian and Muslim worlds have been warring in an artificially orchestrated “clash of civilizations”—a term coined by Bernard Lewis, Netanyahu’s man in MI6. And today the level of anti-religious terrorism, much of it seemingly designed to stir up a Christian-vs.-Muslim apocalypse, is heading off the charts. The massacre of Easter worshippers in Sri Lanka, ostensibly by a radical Muslim group that nobody including Sri Lankan Muslims themselves has ever heard of, might reasonably supposed to have been a Mossad-enabled false flag like 9/11, Bali, Madrid, 7/7, Mumbai, Charlie Hebdo, and many others. The Sri Lankan operation, like the Christchurch massacre and the Notre Dame blaze, serves only to fan the flames of the “clash of civilizations” in service to the Bibi/Abarbanel plan to destroy al-Aqsa and erect the Temple of Antichrist in its place. That would seem to be its only possible strategic purpose. There is no history whatsoever of meaningful Muslim involvement in the Buddhist-vs.-Hindu-secularist violence that has plagued Sri Lanka, and no conceivable strategic purpose that such an act could serve for any segment of the local Muslim population. 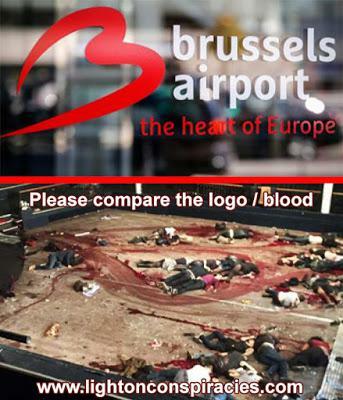 We Are NOT Charlie Hebdo. There have been lengthy discussions about predictive programming in relation to 9/11: The Lone Gunman episode (produced by Likud asset Rupert Murdoch) showing remote-controlled planes targeting the World Trade Center, broadcast just months before the actual event; the famous Simpsons episode that even the New York Times admits is inexplicable; Hollywood’s top Mossadnik Arnan Milchan’s film The Medusa Touch; and much more. 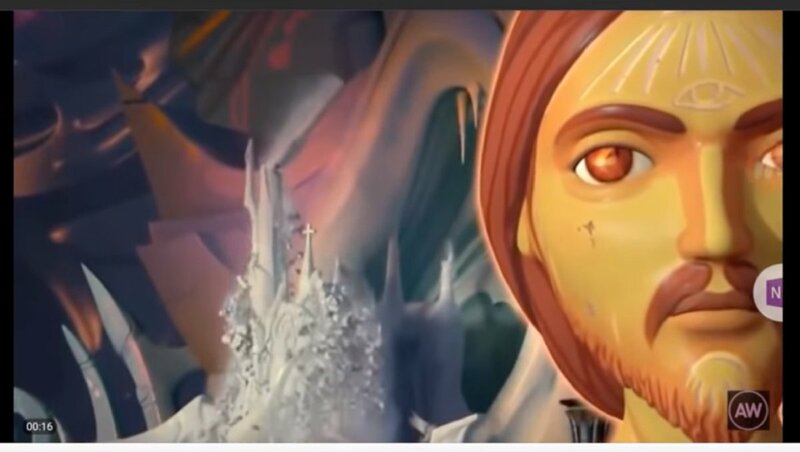 A possible case of predictive programming is the New Zealand gunman’s use of the song “fire,” which in hindsight seems to point ahead to the Notre Dame and al-Aqsa blazes. I am the god of hell fire, and I bring you! Fire, I’ll take you to burn. Fire, I’ll take you to learn. but all of it’s going to burn. you know you’ve really been so blind. You’re falling far too far behind. Oh no, oh no, oh no, you’re gonna burn! Fire, to destroy all you’ve done. Fire, to end all you’ve become. 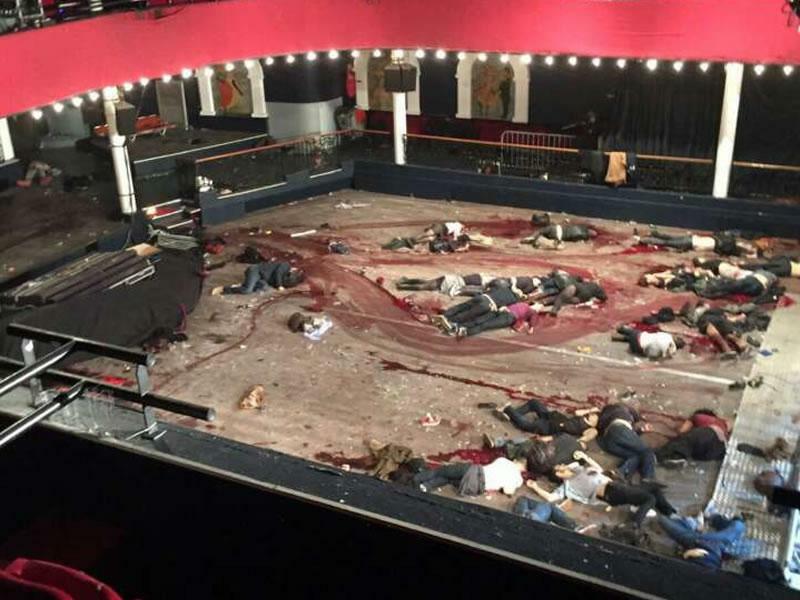 “Who painted a big, bloody heart on the corpse-strewn floor of the Bataclan theater, and why? Who took the famous picture? Who released it – illegally – to the public? 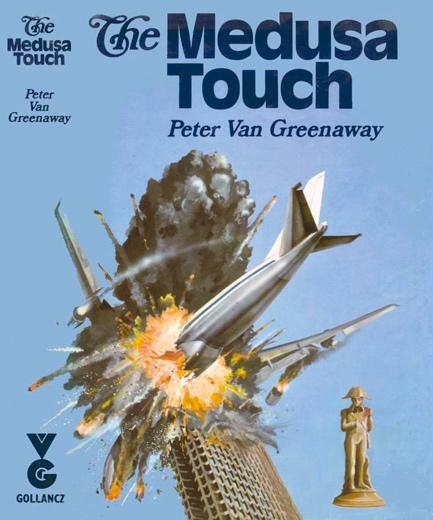 Why hasn’t the owner of that extremely valuable photograph stepped forward to claim it … and to sue me for using it, without anybody’s permission, on the cover of the book? We now have tentative answers to some of these questions. The shocking photo of the Bataclan ‘blood heart’ was first broadcast to the world (illegally – the French law forbids the diffusion of such photos) by an Israeli group called United Hatzalah. 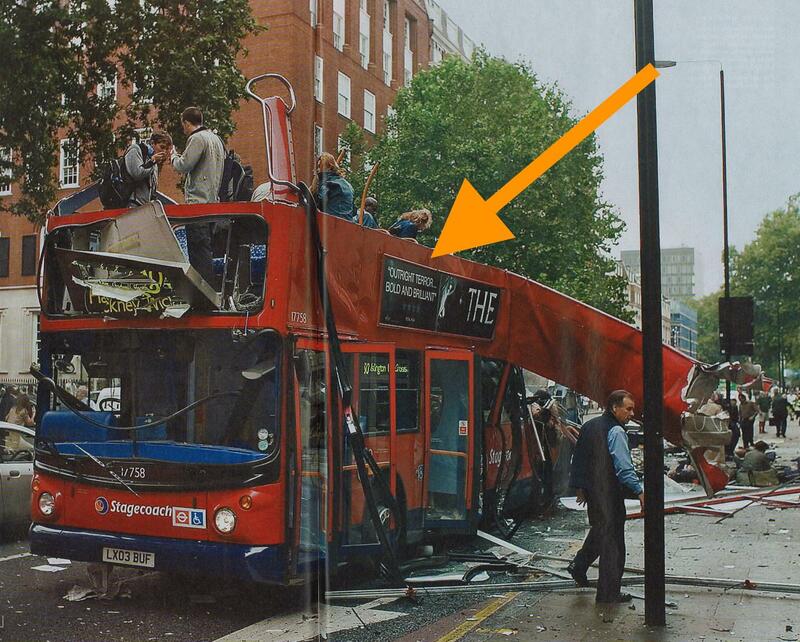 There are many other examples of false flaggers tagging their work, often with satanic/freemasonic symbolism. Perhaps the most notable example is the choice of the biggest freemasonic symbols—the Twin Towers (Joachim and Boaz) and the Pentragram/Pentagon—as targets on 9/11. There is plenty more to be said about the circumstantial evidence and historical context of the Notre Dame fire. But is there any actual evidence that it was deliberately set? One major red flag is the apparent contradiction between the official story—the fire was the result of an electrical short circuit—and highly credible reports that there was no electricity in the area where the fire started. 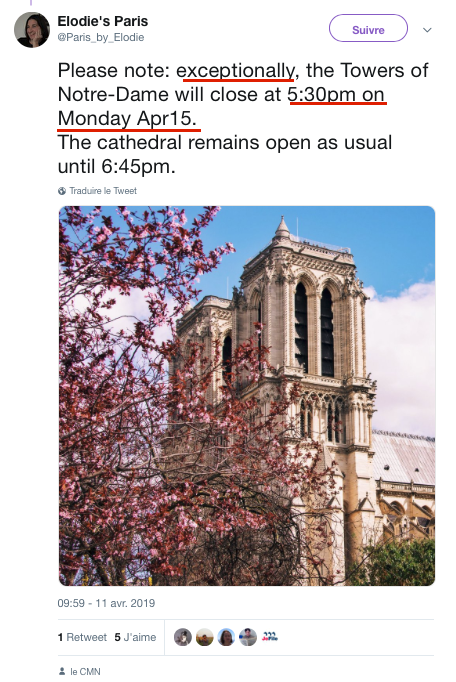 The Cathedral did remain “open” (unburned) until precisely 6:45 pm on Monday April 15. From that moment on it has been closed due to a fire that the French authorities, notorious for their subservience to Zionism and freemasonry, blame on a short circuit in an area with no electricity. 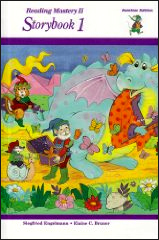 "The Pet Goat"is a reading exercise children's workbook. It is designed to teach kids about words ending in the letter "E", using the Direct Instruction. "The Pet Goat" (often erroneously called "My Pet Goat") is a reading exercise from the 1995 children's workbook Reading Mastery II: Storybook 1 by Siegfried Engelmann and Elaine C. Bruner. It is designed to teach kids about words ending in the letter "E", using the Direct Instruction (DI) teaching method. It gained attention on September 11, 2001; U.S. President George W. Bush was reading it at the Emma E. Booker School in Sarasota, Florida, when he was informed of the ongoing terror attacks. "The Pet Goat" is the story of a girl's pet goat that eats everything in its path. The girl's parents want to get rid of the goat, but she defends it. A burglar enters the house and attempts to steal things, but the goat butts him - the parents gratefully decide to let the goat stay. All smile but the burglar who is "sore" (ending in e). Louis Lefebvre began production on I, Pet Goat II in 2006. By 2008, he had established his studio, Heliofant, in Montreal, Quebec, employing various 3D animators, and the Tanuki Project who scored the film. I, Pet Goat II was released on June 24, 2012. I, Pet Goat II is a 2012 Canadian animated short film written, directed, produced and edited by Louis Lefebvre. The film features a commentary on American society and politics, particularly the agendas of presidents George W. Bush and Barack Obama, with allusions to Biblical theology and Egyptian imagery in a post-apocalyptic setting. 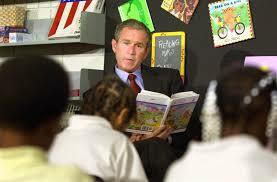 The title is a reference to The Pet Goat (often erroneously referred to as My Pet Goat), the book children at Emma Booker School in Sarasota, Florida read to President Bush at the time of the September 11 attacks which ends stating "more to come". 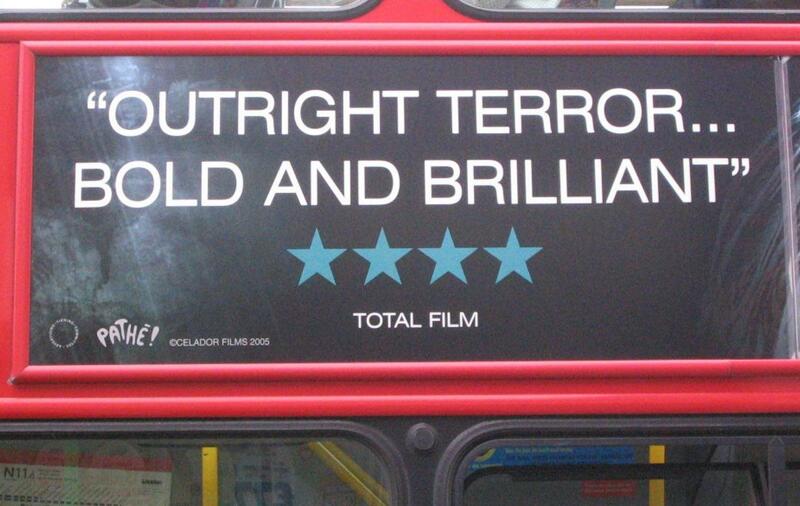 The film is known for its strong use of cryptic symbolism and conspiracy allusions. Let`s that sink for a moment. Our present funding campaign will run until the end of 2019. So please join us in this fight by keep independent information alive and "interest" free. Support independent and alternative media! Dead doctors, nagalase and vaccines: What's the connection? People Do Not Die From Cancer! People Die From Chemotherapy And In Terrible Pain!